We recently prepared an alert on the new 20% qualified business income deduction that was added by the 2017 Tax Act. We have received many questions from our clients and friends about whether, notwithstanding the QBI deduction, they should consider doing business as a C corporation, particularly since the 2017 Tax Act lowered the corporate income tax rate to 21% and eliminated the corporate alternative minimum tax. The basic question is as follows: given the new 21% corporate income tax rate, will shareholders in a C corporation realize a better net after tax result (compared to doing business as a pass-through entity) where the highest personal income tax rate on ordinary income is 37%? The long term capital gain, qualified dividend, and the net investment income tax rates all remain the same under the 2017 Tax Act (20%, 20% and 3.8%, respectively), so the focus is on the income tax rate differential. Doing business as a C corporation as opposed to a pass-through entity (typically a LLC or an S corporation) involves many considerations, including the impact of the entity choice on non-income tax issues. However, we wanted to focus our discussion on the federal income tax issues by using a net after tax analysis that compares the results from operating income and sale proceeds perspective. We then wanted to compare the results from operations based on a LLC/S corporation with the benefit of the 20% QBI deduction, a LLC/S corporation without the benefit of the 20% QBI deduction, and a C corporation. For this illustration, we assumed that the cash was distributed to the owners. The net after tax for both pass-through entity illustrations is higher than the C corporation model due to the higher aggregate tax rate on the C corporation income (21%) and the dividends received by the shareholders (23.8%). The net after tax proceeds received by the owners for both pass-through entity illustrations is higher than the C corporation model, again, due to the higher aggregate tax rate on the C corporation income (21%) and the dividends received by the shareholders (23.8%). It is apparent that the double tax effect for C corporations makes the results favor the pass-through entity approach of a LLC/S corporation. But what if we assume the entities retain all cash, thereby eliminating the double tax on operating income, and then the equity of the entities is sold so that we do not have a double tax on the asset sale/distribution by the C corporation? The results change dramatically. The lower C corporation tax rate then results in a higher net after tax return. The results are now very comparable given the absence of the double C corporation tax and the shareholder tax on the receipt of the dividend distributions. Certain businesses are formed as C corporations to take advantage of the 100% exclusion under Code Section 1202 for qualified small business stock that is held for at least five years. Other businesses are C corporations, or convert to C corporations, at the request of investors. Absent Code Section 1202 or investor driven structure choices, is a C corporation the new preferred entity structure from a tax rate perspective? Is it realistic for the C corporation to retain all cash? Careful consideration needs to be given to the personal holding company tax and the accumulated earnings tax rules. 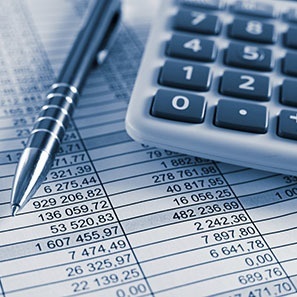 For operating businesses, the personal holding company tax is not normally an issue, but a corporation would need to establish that the accumulation of earnings is not for the purpose of avoiding income tax with respect to its shareholders or risk the imposition of the accumulated earnings tax. Is it likely that the exit strategy will involve the disposition of stock (typically either a stock sale or some form of merger/reorganization)? A benefit of an S corporation or LLC structure is that the tax results to the selling shareholders/members is typically the same in the case of a sale of equity or a sale of assets. In addition, many buyers prefer an asset sale in order to obtain a basis step up in the assets to reflect the purchase price paid. By comparison, the ability to obtain a basis step up for the assets of a C corporation in connection with a stock sale is more difficult. The partial return of an investment to a shareholder of an S corporation or to a member in a LLC is more tax-efficient for an S corporation or a LLC than for a C corporation. The LLC structure currently allows for the non-taxable grant of equity in the form of a “profits interest” or a “carried interest” and this same approach is simply not available for a C corporation. Converting from a LLC to a C corporation can generally be accomplished on a non-taxable basis, but converting from a C corporation to a LLC is generally taxable. Converting from an S corporation to a C corporation can also generally be accomplished on a non-taxable basis, but you then typically need to wait 5 years to make an election to convert back from a C corporation to an S corporation. Is it likely that some of the 2017 Tax Act provisions will be rolled back when there is a change in Congress or the Administration? This happened most recently with the changes made by President Obama (rolling back the Bush tax cuts), so any change in entity structure needs to be evaluated with the thought that the 21% C corporation tax rate might be short-lived. As noted above, there are many factors to consider regarding entity choice and we suggest that you talk with your tax advisors before you make an entity selection or change from your current entity type. For questions, information, or guidance, please feel free to contact John Eagan (eaganj@whitenandwilliams.com; 212.868.4835), Kevin Koscil (koscilk@whiteandwilliams.com; 215.864.6827) or another member of our Tax and Estates Group.